Halloween is approaching and lots of events are taking place where I live to celebrate Halloween and Guy Fawkes Night. Apart from the fireworks show, local events also include a costume party and stage musical events. Local shops have already got into the Halloween mood with elaborate decorations and Halloween treats. So, today's post is Halloween-centric and lists out some of the things that caught my fancy. This is not a sponsored post, it is just a collection of things that caught my fancy. Read on. 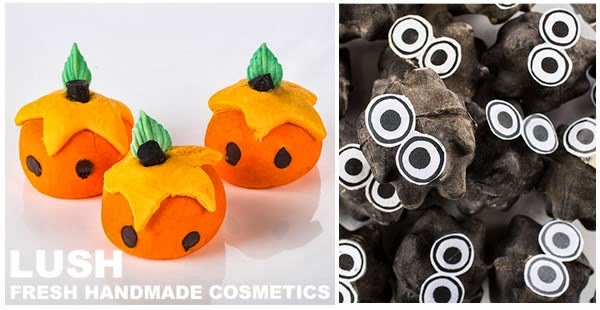 How cute are these Halloween specials from Lush? Pumkin - Crumble this bubble bar under a running tap to turn your bath water a vivid, rusty orange colour, creating mounds of sweet scented bubbles. I love how cute these look. Sootball - This black bath bomb with radiant golden lustre will give you the feel as though you’re bathing in luxurious liquid gold. This sounds interesting and I keen to try this one out. 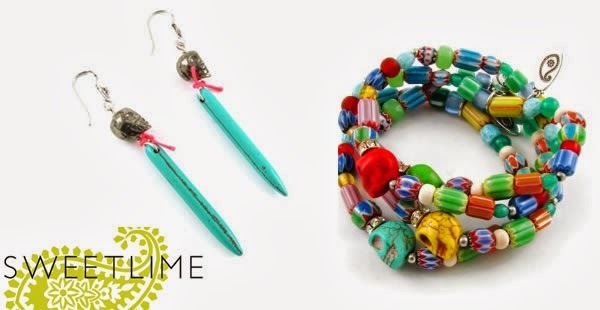 Sweetlime - These trendy skull jewellery pieces caught my eye because of their funky bright colours. The turquoise spikes of these striking earrings are topped with iron pyrites skulls. A touch of neon thread tied between the skull and the spike add an element of fun fluo. The Mexican skull bracelet has bright candy kane glass beads are handmade in India. This is the cutest skull bracelet I have ever some across. Do you like it? 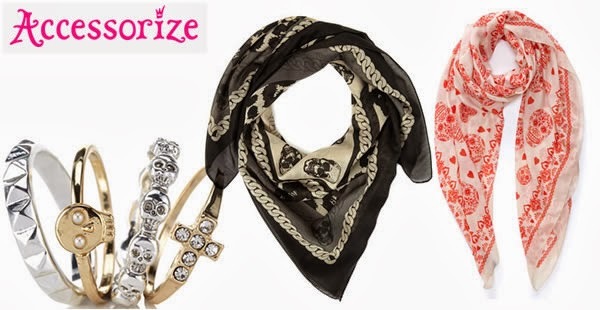 Love these skull print scarves especially the black one. These skull rings are great worn singly or stacked together for an on trend grunge look. And let me end my list with chocolates. 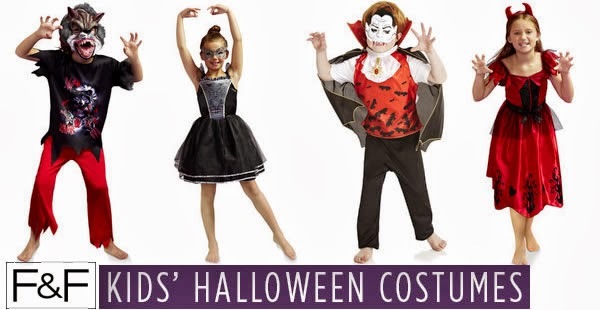 How could I miss this bit ;-) You can take your pick from crunchy milk chocolate spiders with green crisped rice balls or mini milk chocolate head with blood red caramel centres in a Halloween mummy and witch bags. 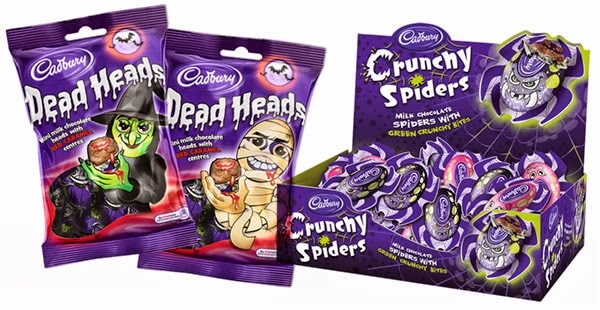 Check out the entire Halloween range from Cadburys.